BAMBERG, Germany, March 28, 2019 /PRNewswire/ -- Computop, the global payment processor, today announced that Europe's leading online optician, Mister Spex, has selected the company's highly secure POS terminals for the processing of all card payments across its national network of German stores. The CCV Pad card terminal from Computop is one of a new generation of POS solutions that have been developed to reduce costs and expenditure on PCI security audits while protecting purchasers' card data. Thanks to PCI Point-to-Point Encryption (P2PE), card data is coded in the device and sent to the payment platform without intermediate storage. Through its integration to Computop Paygate, Mister Spex is also prepared for modern smartphone payment in its branches: Apple Pay and Google Pay can be accepted at the POS. In the merchant backend, Mister Spex can process and evaluate payments and credit notes quickly and conveniently. Integration with Computop's payment platform also leaves all options open for merging online and stationary transactions as the security offered by Computop's P2PE POS solutions facilitates integration into an omnichannel environment. Computop customers can process all payments — via POS, online or mobile through the Computop Paygate. This has a number of benefits: omnichannel reports and statistics allow for analysis of sales across all channels, all branches and all online shops. The accounting team can refer back to settlement files (CTSF) which Computop has standardised for all payment types worldwide so that upon receipt of a previously unpaid statement, the status can be automatically changed to 'paid' (reconciliation). "As an online retailer, it was surprising for us that refunds for POS payments cannot be automatically referenced by all payment service providers in the same way as our webshop payments," says Holger Krause, Product Manager Multichannel at Mister Spex. "Computop Paygate offers us a uniform solution for all transactions. In addition, we have come to know and appreciate Computop as a reliable partner." Computop Managing Director Stephan Kück commented: "We are delighted to be able to support Mister Spex in expanding its branch network. With the integration of our payment platform, our customer is well prepared for further expansion." As one of the very first payment service providers, Computop offers its customers around the world local and innovative omnichannel solutions for payment processing and fraud prevention. The Computop Paygate payment platform enables seamless integrated payment processes, for e-commerce, at POS and on mobile devices. With this internally developed software, retailers and service providers have the flexibility and freedom to choose from over 350 payment methods enabling them to specifically tailor their payment options per country. Technologies such as biometric authentication and self-learning algorithms improve security and convenience for retailers and consumers alike. Mister Spex GmbH is Europe's leading online optician. Through its website, the Berlin-based company offers, alongside contact lenses, a comprehensive range of directly available designer glasses and sunglasses across Europe, all at attractive prices. 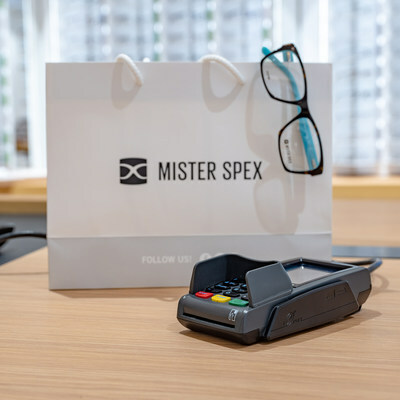 In addition to transparent pricing and cost savings for complete prescription glasses, customers benefit from free services such as eye tests and glasses adjustments, as Mister Spex already works in partnership with more than 500 local opticians in Germany, Austria, Switzerland, the Netherlands and Sweden. The Mister Spex service team is made up of qualified opticians providing customer advice by telephone or e-mail. The company has its own optician's workshop in Berlin, where the final production and quality control of the glasses takes place. The good quality of the glasses was confirmed in December 2014 by the German consumer research and advice foundation Stiftung Warentest, which named Mister Spex one of the best tested opticians (test 1/2015, p. 86 ff. ).